The power supply of the Raspberry Pi is one of the underrated sources of error. Mini computers, like the Raspberry Pi, require a stable voltage AND power supply. With a bad power supply and unfavorable operating conditions, strange effects in combination with an unstable system behavior occur. The power supply of Raspberry Pi is one of the underrated sources of error. Mini computers, like Raspberry Pi, require a stable voltage AND power supply. With a bad power supply and unfavorable operating conditions, strange effects in combination with an unstable system behavior occur. 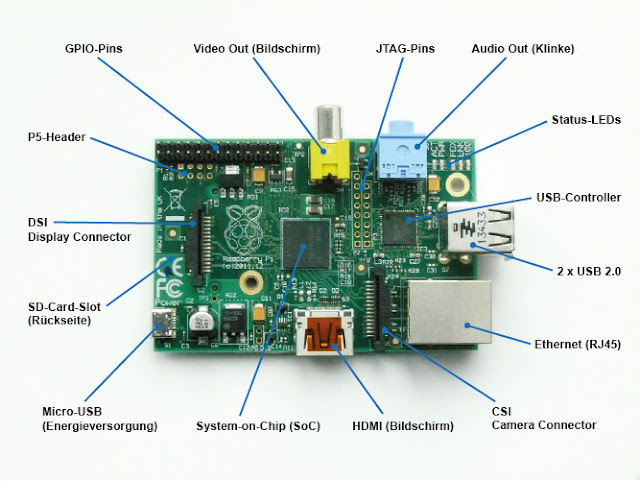 The effect referred to in the German-language Raspberry Pi Forum as "Mysterium" usually manifests itself in the discontinuation of LAN and WLAN connections and other malfunctions of devices connected to the USB. For example, external WLAN adapters, USB sticks, and hard disks. The occurring effect is referred to as "mystery", because of the occurring misconduct at first glance, nothing to do with a poor power supply. However, there is an infinite number of problem descriptions in discussion forums. The victims of the mystery report of dropouts in the keyboard, mouse, screen presentation and very often connection problems with LAN and WLAN. The occurring effects and problems are manifold. For troubleshooting, hours can go by without getting closer to the error. In some serious cases, the error is not always so easy to reconstruct. The problems that arise are often related to the fact that the stability of the voltage regulation leaves something to be desired. The danger is in arrears, as indicated by a lightning bolt in the upper right corner of the screen. Inappropriate power adapters can cause strange effects during operation. Many plug-in power supplies that are typically used to charge smartphones and tablets are not power supplies but are typically chargers for battery-powered devices. These chargers rely on the device being supplied not expecting a stable voltage. Battery-powered devices are typically charged with power, while the stability of the voltage from the charger is completely irrelevant. Only the charging circuit in the device or battery ensures the correct charge of the battery. This has the advantage that the device manufacturer can install individual batteries and the user can use almost any plug-in power supply. Not so with a Raspberry Pi or another mini-computer. They rely on a stabilized operating voltage of usually about 5 volts. If you operate Raspberry Pi with any plug-in power supply, then it can and will usually work. But if now Raspberry Pi and connected USB devices provide an impulsive current drain, then it may happen that the power supply is overstrained, and then the voltage breaks down. So falls well below 5 volts. What happens then? A device that is designed for 5 volts, then comes in an unstable operating condition. In addition, USB devices expect 5 volts at the USB port. According to the USB specification, a USB device should work between 4.45 and 5.5 volts. There is no danger from here. But now it's just that Raspberry Pi has a say in it as well. Undervoltage, Raspberry Pi takes its USB ports out of service to restore the stability of the power supply by reducing the current drain. At least all USB devices will be shut down for a short time. And that leads to just said malfunctions of individual USB devices or the entire system and explains the dropouts in the USB devices. This affects the mouse, keyboard, Wi-Fi and LAN connections, as well as USB storage devices. Then, when the minimum voltage has settled again, Raspberry Pi takes the USB and connected devices back into operation. While keyboard and mouse log in quite quickly and automatically, LAN and WLAN connections may be disabled on the software side and need to be manually activated. Unfortunately, you can not get SSH on Raspberry Pi in this situation. Some users are forced to pull the micro USB connector on Raspberry Pi and turn it off hard. However, you should avoid this because "hard power off" can cause the file system to be damaged. If an important system file could not be completed at the time of powering off, it will not damage the hardware but the file system. In such a case, an incomplete or faulty state can prevent a successful restart. You may also have to complain about data loss. Power adapters that are designed as chargers are unsuitable for powering a Raspberry Pi. Charger or real power supply? 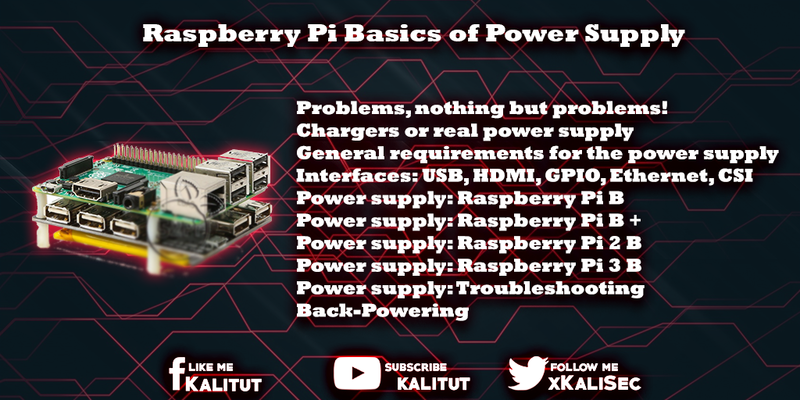 Many power supplies that are used on Raspberry Pi, are no real power supplies, but chargers and therefore only partially suitable as a "power supply". But a power supply or power supply is fundamentally different from a charger. A real power supply is a voltage source with the electronically limited maximum current. A power supply tries to keep the voltage stable up to its maximum current, even with short-term high current draws. 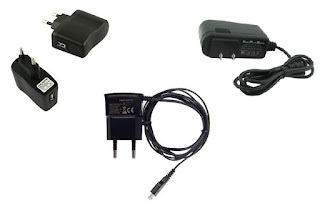 A simple charger is a power source with electronically limited maximum voltage. The charger just tries to deliver the maximum current regardless of the voltage. This means that a charger is only suitable as a power supply if the limitation of the maximum voltage not only works upwards but also downwards. So as a power supply is electronically controlled and not only consists of a cheap Zener diode. Now it's, unfortunately, the case that dealers and users ignore this. The reason is that both do not have the appropriate expertise and do not know the difference between a charger and a proper power supply. The dealers are not completely innocent. As a rule, they are not specialists and cannot judge what they are supplied by the manufacturer or wholesaler and resell to the end customer. So are advertised as "power supply" plug-in power supplies usually only simple chargers. In particular, users suffer because they have to rely on the dealer to do them no tricks. Even if the retailer describes or advertises its power adapters as Raspberry Pi-capable, that does not mean anything. Just because 5 volts come out of a black plastic part with a long tail and a micro USB connector does not mean that a Raspberry Pi can be operated reliably. Basically, Raspberry Pi is powered by a voltage of 5.0 volts (V) at the micro USB input. In fact, it's 5.1V, which most USB power adapters deliver. It is therefore 5.1 V because losses occur due to connectors and cables. In addition, voltage stabilization is always subject to specimen scattering and little variation in stabilization. Some over-tension makes sense at this point. Of course, you can operate a Raspberry Pi under 5.0V. That should not be a problem up to a voltage of 4.75 volts. This should meticulously ensure a stabilized operating voltage, otherwise, it can lead to significant instabilities. Basically one should not try to operate a Raspberry Pi with Undervoltage if one does not know it. The second important value in the power supply is the power consumption, expressed in amperes (A). How much power Raspberry Pi needs exactly depends on what's connected to it. In general, one comes with a power supply with 2 A (2,000 mA). But only if you do not connect power-hungry USB devices. Then you need an externally supplied USB hub or should use a 2.5 A (2,500 mA) power supply. It is important to know that a Raspberry Pi can not pull more than 2.5 A. If the whole system needs more power, then this can be limited by a fuse and can lead to instabilities. The voltage (volts, V) of a power supply is a nominal value that must be met. That means the power supply voltage and the device operating voltage must match. Both values must not differ significantly. The current (amperes, A) and the power (watts, W) of a power supply, however, are nominal values that must not be exceeded. It should be noted that a 10 W or 2 A power supply (at 5 V) must not be operated at nominal value nor beyond. If you want to pull the 2 A, then the power supply is inevitably brought into an unstable state. That is, the voltage breaks down and the supplied device fails. If you need 2 A, then you never take a 2 A power supply, but a step above it. At least 20% to 30% more. So at least 2.5 A. Better more. Generally, every USB device without its own power supply has to be powered by Raspberry Pi. The current drain can be very different depending on the device. Thus, the power consumption of a keyboard, only as an example, between 0.1 A and 0.5 A (100 mA and 500 mA) are. To make matters worse, that USB device can quite impulsively draw electricity. This can bring Raspberry Pi or the power adapter ever out of step. For a safe continuous operation, one must examine the power consumption of the USB devices individually. If you find any instabilities on the part of Raspberry Pi, then an externally powered USB hub is a solution. It is better, one uses USB devices, whose power consumption is not so high. 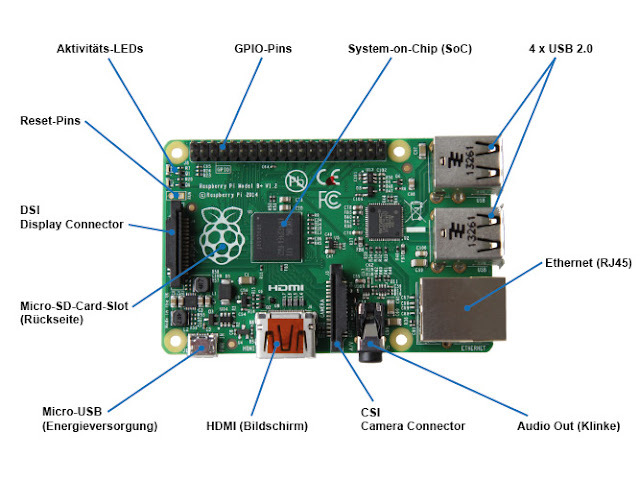 What does the GPIO have to do with the power supply of a Raspberry Pi? If you plug in the GPIO header, then pretty much. A single GPIO port can deliver a maximum of 16 mA without being damaged. All GPIO pins together at most 50 mA. Assuming 40 pins, but only 26 of them can be connected as GPIO, then the current that you can pull out of a GPIO port if you use all at the same time as an output, is just 2 mA. Since not all pins will be used as output at the same time, the current drain per pin should not be higher than 3 to 5 mA. The less, the more pins you can use as the output and the more stable Raspberry Pi will run. What does HDMI have to do with the power supply of a Raspberry Pi? If you want to connect a screen to the HDMI port, then pretty much. On average, the HDMI connection consumes up to 50 mA of current (measured). Starting from Raspberry Pi B +, the pull up to 400 mA. This is important for HDMI devices without their own power supply. HDMI to VGA converters receive enough power from the HDMI port. What does the Ethernet port have to do with the power supply of a Raspberry Pi? If you want to connect Raspberry Pi to the network, then pretty much. If a remote station with a cable has been connected to the Ethernet port, then the current drain is around 60 mA (measured). A camera module for the Camera Connector (CSI) requires around 0.25 A (250 mA). Whether that's true, unfortunately, could not be found out, because the data sheets of the relevant providers to the power consumption of your camera modules give no information. Raspberry Pi Model A and B requirements are 5V and 0.7A (700mA), which is equivalent to 3.5W. At 0.7 A, Raspberry Pi comes but only if it additionally operates an HDMI monitor, Ethernet network, and USB devices. But there is also the power consumption of these devices when they are powered by Raspberry Pi. Total power consumption is 1 A (1,000 mA), backed up by a fuse. We recommend a power supply with 1.2 A. The reason is that you should never run a power supply too close to its rated load. So if you calculate with 1 A, then you take 10 to 20% more. This is the only way to ensure that the power supply is stable. If only a short time more power than the power supply can deliver, then breaks the voltage, which acts as the shutdown of the voltage and Raspberry Pi goes out. Unless you excite Raspberry Pi completely with all its possibilities, you can get by with a power supply of 1.0 A or less. But only in exceptional cases. There are frequent reports that Raspberry Pi Model B is not very stable and occasionally gets out and then needs to be restarted. The reason: The power supply of the model B is a bit shaky, which is why a real power supply, no charger, with at least 1.2 A and more is recommended. If you use a power supply less than 1.2 A, you must expect instabilities. Especially if you still operate devices on the HDMI and USB, which have no own power supply and therefore pull out of the interface. If in doubt, it is always recommended to operate USB devices on an externally powered USB hub. A major advantage of the B + model is the better overall stability of the power supply. So not only 4 USB devices can be connected to the B + model, but also without an externally powered USB hub. Overall, the B + 2.0 A (2000 mA) may pull out of its power supply. Assuming the power supply delivers that, too. The power consumption of the B + is given as 0.6 A (600 mA). If you work with monitor, keyboard, mouse, and Ethernet, then that's measurable values. So he needs less than the model B and overall should run more stable with the same power supply. According to the specification, all USB 2.0 ports of the B + together deliver 0.6 A (600 mA). That should be enough for a 2.5-inch USB hard drive. But not always. Overall, about 1.5A (1,500mA) remains for the USB devices. Unless you also use HDMI and Ethernet. Then it is a little less. But certainly enough for most USB devices. In order to be able to extract the maximum of 1.2 A (1.200 mA) from a USB port, you have to do this in the file "/boot/config.txt" with the line "safe_mode_gpio = 4" (old firmware) or " max_usb_current = 1 "(new firmware) to release the maximum current drain of 600 mA. This limit is there so that Raspberry Pi does not become unstable in a power-hungry USB device and go out. Raspberry Pi 2 B recommends a 5.1V and 2.5A power supply. It certainly goes below 2.0 A. But if you want to operate on the USB ports except for mouse and keyboard, even more devices, then you should use a power supply with high power if you want to ensure a stable power supply. Especially with Raspberry Pi 3, you should know that it has a design flaw. Because of a new circuit board, design and savings in the use of inferior components fall on the way between micro USB socket and the chip up to 0.6 volts. As a result, Raspberry Pi 3 is powered by a standard 5.1 volt USB power supply at the low voltage limit. The problem is resolved by the fact that the official power supply for Raspberry Pi 3 has a voltage of 5.2 volts. Note: Because of component and production tolerances, not every Raspberry Pi 3 is affected. A red flashing LED on Raspberry Pi indicates a problem with the power supply. One should take care of it urgently because then the operation of Raspberry Pi then no longer be ensured and it can come to functional failures. In general, you will be able to find the problem in connection with power-hungry USB devices or a low-power adapter. Raspberry Pi (1) Model A and Model B have a nice feature. All power and USB ports hang on one wire. You can operate back-powering via the USB interface. One only has to keep in mind that all protection mechanisms are bypassed. There are also indications that data loss may occur on the SD card. In particular, the operation of active USB hubs on the models A and B can unintentionally lead to back-powering, because here the hub feeds Raspberry Pi through the USB port, although Raspberry Pi already a USB power supply is powered. The risks of unwanted back-powering should not be underestimated. In principle, only a USB hub, which was specially designed for operation on a Raspberry Pi, can help here. To avoid the multiple problems of an unstable power supply, one should use a "real" power supply with a stabilized voltage. The purchase of power supplies for Raspberry Pi is therefore always a gamble. To avoid a bad buy, you should buy power supplies only where they are explicitly available as accessories for Raspberry Pi.